On Saturday 20th April 2019 the sun will rise at 07:49 and will set at 18:46. It's going to be quite a warm day, with temperatures reaching 26.8°C. Today is expected to be a dry day, with a very low chance of rain. It will be a very clam day today, with a maximum expected wind speed of 9mph. On Sunday 21st April 2019 the sun will rise at 07:50 and will set at 18:45. It's going to be quite a warm day, with temperatures reaching 23.8°C. A light shower is possible, 2mm of rainfall is possible today. It will be quite a breezy day, with a maximum expected wind speed of 19mph. On Monday 22nd April 2019 the sun will rise at 07:51 and will set at 18:44. It will be a mild day, with temperatures reaching around 15.9°C. Today is expected to be a dry day, with a very low chance of rain. It will be a very clam day today, with a maximum expected wind speed of 11mph. On Tuesday 23rd April 2019 the sun will rise at 07:52 and will set at 18:42. It will be a mild day, with temperatures reaching around 17.9°C. Today is expected to be a dry day, with a very low chance of rain. It will be a very clam day today, with a maximum expected wind speed of 9mph. On Wednesday 24th April 2019 the sun will rise at 07:53 and will set at 18:41. It will be a mild day, with temperatures reaching around 18.6°C. Today is expected to be a dry day, with a very low chance of rain. It will be a very clam day today, with a maximum expected wind speed of 8mph. On Thursday 25th April 2019 the sun will rise at 07:54 and will set at 18:40. It will be a mild day, with temperatures reaching around 14.7°C. Today is expected to be a dry day, with a very low chance of rain. There will be a gentle breeze in the air today, with a maximum expected wind speed of 13mph. On Friday 26th April 2019 the sun will rise at 07:55 and will set at 18:39. It will be a mild day, with temperatures reaching around 11.7°C. Today is expected to be a dry day, with a very low chance of rain. It will be quite a breezy day, with a maximum expected wind speed of 19mph. Yarra Valley Wine tours by Limo! 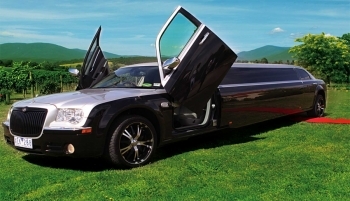 Enjoy a fantastic day tour package from Melbourne to the prestigious Yarra Valley | Yarra Valley Limo Tours have created all inclusive no fuss packages to enjoy the best wineries & food of the region | Take your special group of friends or family in a private limousine for a day to remember. We have tours to suit your style & budget.